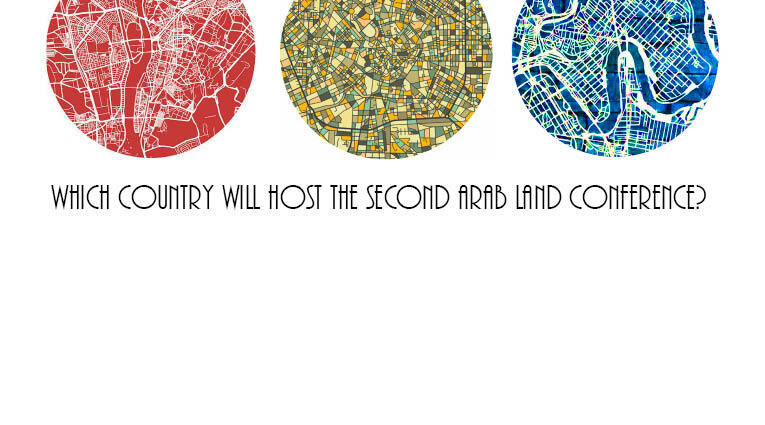 After a successful first Arab Land Conference, the Call to host the Second Arab Land Conference is now open! A declaration emerged from the First Arab Land Conference, paving the road for future collaborative action on land governance and land administration including the organization of an Arab Land Conference every two year, to be hosted by a different Arab country each time. The secretariat for the Arab Land initiative, hosted in the interim by the Global Land Tool Network and composed by a multi-stakeholder team including the World Bank, the Dubai Land Department and additional members, will support the selection of the host of the Second Arab Land Conference and the organisation of the event. These Guidelines aim at providing guidance to the governments / countries interested in hosting the next Conference outline requirements and criteria for selection and can be found here. Countries interested in hosting the second Arab Land Conference should submit a letter signed by a relevant government representative to the main conference organizers Global Land Tool Network /UN-Habitat and the World Bank (see details in the Guidelines).Expressions of interests should be received by the end of 2018, to allow a decision to be made by the 31 January 2019. The Global Land Tool Network (GLTN) is an alliance of global, regional and national partners contributing to poverty alleviation through land reform, improved land management and security of tenure; through the development and dissemination of pro-poor and gender appropriate land tools.